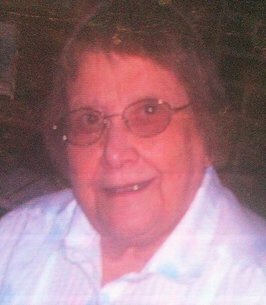 Betty Jean Calovich, 90, Raytown, MO passed away Sept. 9, 2018. Services will be at 10 am, Friday, September 14, 2018 at Speaks Suburban Chapel; visitation will be 9-10 am before the service. Entombment at Mt. Olivet Cemetery. Betty was born May 26, 1928 in Kansas City, MO. She lived in Raytown, MO for many years. She was preceded in death by her husband George Calovich, sister Anita and brother Donald. She is survived by son Frank Calovich and wife Theresa; daughter Kathy Evans and husband Dwayne; sister Mable Christian; several grandchildren and great-grandchildren. To plant a tree in memory of Betty Jean Calovich (Hill), please visit our Heartfelt Sympathies Store.